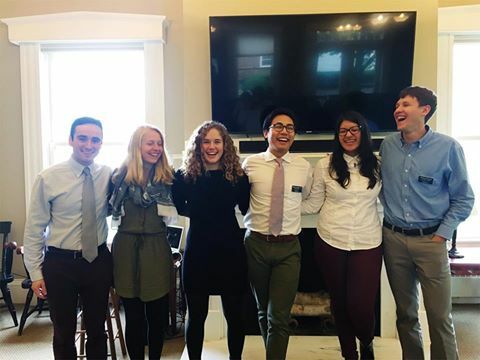 The new crew of Senior Fellows is here and ready to share what they love about Middlebury with you, both in person and on the blog. Stay tuned this year for regular updates about life on campus, and in Vermont. Senior Fellows from left to right: Josh Goldenberg, Margot Graham, Tabitha Mueller, Christian Jambora, Toni Cuevas, and Atticus Proctor. Not pictured are Elsa Alvarado and Anna Cerf. This entry was posted in Uncategorized on September 20, 2017 by Caroline Damon.